Because you were recommended by a friend, we’ll add a 10% discount to your order automatically when you reach checkout. Please note, the discount is only valid for your first order with us, and is only available for orders placed online. 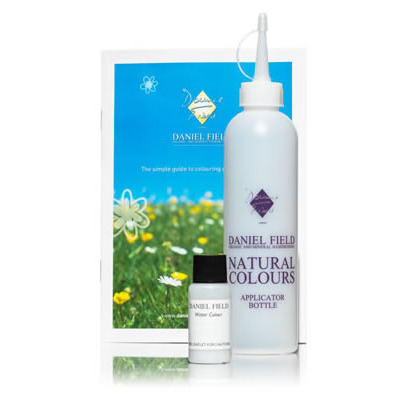 Our long lasting natural hair colours are really easy to use. Simply add water, shake and apply. Repeat monthly for extra conditioning benefits. Since our colours don't contain harsh chemicals, they won't lighten your hair. They're ideal for grey coverage or for darkening light hair. The colour samples below are approximate shade when applied to white hair. The prices you see include a 50p saving per item, exclusive to online orders! Price includes one set of polythene hat & gloves per colour and ONE reusable applicator bottle per order. The improvement of my hair texture and glossiness of pre-coloured hair had returned after using it just for the first time. Having used it on a regular basis, my hair has definitely become thicker as I no longer use harsh chemical on my hair. For me, it isn’t just a hair colour that covers the grey, but it is also a conditioning treatment.